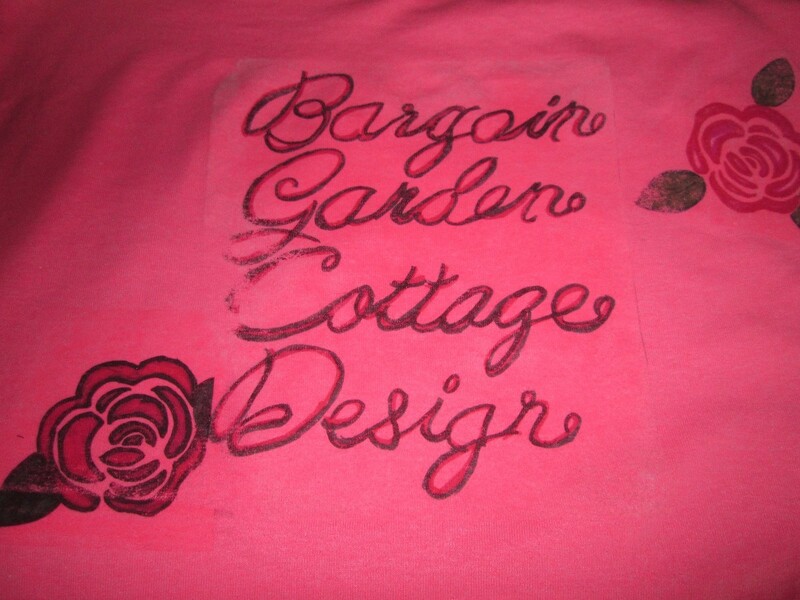 An easy and fun way to decorate clothing and home decor items is to use iron-on transfers. You can use either ones you have created yourself or ones purchased at your local craft store. This is a guide about using an iron-on transfer. I wanted my own personal tee shirt without the cost of company mark up. At Michael's they have tee shirts on sale often, for $2.99 each. They also carry iron on transfers for the tee shirts, (3 sheets per pack). You can make at least 3 tees with 1 package. So I wanted to try my hand at this new craft. I don't know about using a page of something colored. I do know you can use the cheapest crayons you can buy and have perfect fabric crayons at a much lower price. Just color your own design on the apron and iron it with a sheet of plain paper between iron and fabric. if it is going to be washed often iron it with a sheet on cut rite wax paper over it. This can even be bleached. Remember to use cheap wax crayons the crayola crayons do not work. There are crayons that are specifically for making iron on transfer. Just go over the drawing with the crayons. 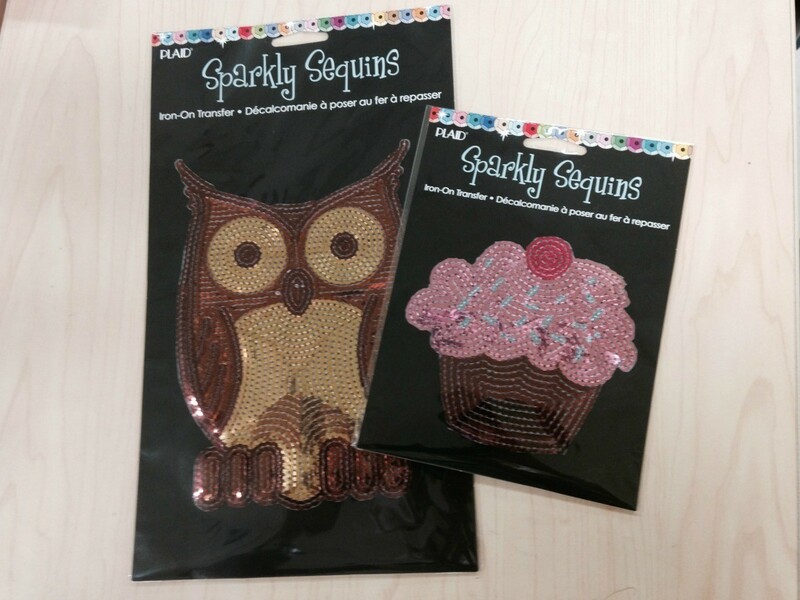 These can be found in the sewing section at JoAnn Fabrics or the craft section at Wal-Mart. They are really easy to use. Hope this helps. I have done this lots of times by having the kids draw on fine sandpaper with any crayons-remember that any pic drawn will be reversed when used as a transfer so any words need to be written backwards if you want them to read right. Don't know what the reason for the sandpaper is. Make sure the crayon is drawn thickly, and wash separately the first few times. How do you repair iron-on transfers that are peeling off? Use fusible webbing....Pellon works the best! This is used to adhere fabric to fabric. The instructions are on the Pellon. Hope this works for you! I have some iron-on transfers or very colorful fake tattoos, I don't know which. I tried applying them to some bare wood trinket boxes first by rubbing them like you would a window transfer, then by ironing. They stuck moderately well, but the backing won't come off. When I tug at it the picture comes up from the wood surface. I just pulled one off. It's a very detailed Chinese dragon. It is a little tacky, as though there's some sort of gum on the surface and it left a little residue on the box. If it's supposed to be peeled off first and applied that way, I can't seem to start an edge. There are streaming cloud trails, whiskers, ears and other delicate parts to it that would be easily damaged if I am not careful. Has anyone worked with these things before? How do I get them free of their backing, which is a stiff white cardstock? You could try wetting it again and lightly rubbing the paper off. It will crumb off. I done this method with a paper to clay image transfer. Be extra careful when the image starts to appear. You have to thoroughly wet the backing for about 30 seconds and then use a damp sponge to smooth out the design after transfer. How do I keep iron-on transfers from sticking to the protective cover? We used waxed paper and then a cotton tablecloth when they stuck to the waxed paper. Is my iron too hot? If you are copying them from the Computer to a printer you need to reverse the image so that the backing is facing up and that the transfer is down next to the cloth. I keep forgetting to do that myself and yep it sticks to the iron. What a mess! Thanks for your response. We did have it facing up, and the transfer did stick to the shirt. Unfortunately, it also stuck to the waxed paper that I tried first and then to the cotton table cloth that I tried the next time. I have just done my first iron-on transfer. Some of the paper is stuck to the transfer. What can I do to remove it? Did I try to take it off too soon? I waited until it was just warm to the touch. Or did I wait too long? It was about 3-4 minutes after pressing. It's a small 3x5 inch transfer. I pressed it for about 60 seconds. Thanks for any help. If the paper is still on there, it didn't "take" just right. The best thing to do is do it again. Put the remaining paper back on there and press it again mainly on the area that did not "take". If you have thrown it away use a sheet of copy paper or otherwise unlined / uncolored paper. The new modern irons don't get that hot, if you have one, in the future press down a longer time. It sounds to me that you did most everything right, by the way. I ironed a picture on material, but the edges came out with some missing areas. Also, the picture looks like it has lines going through it. How can I fix this? Any ideas will be welcome. Thank you. Is this a gift or for sale? If the first, depending on what pieces are missing and what the Iron on is of, paint markers for fabric, or fabric paint itself might be used to fill in the missing lines and pieces. They come in sets sometimes of basic colors. I think this would be best for the missing edges, just sort of redraw the areas so they will match up with whats there. Or perhaps you could add faux jewels etc. over some of the missing parts. It is key to let the transfer cool completely before trying to remove the backing, always remove it slowly and evenly; use even pressure when ironing and follow manufacturer's directions for how long to press and how hot the iron should be. Most of the time, do not use steam, dry iron only. I printed a bunch of iron on transfers in my Inkjet printer and they came out great. Now, on the first wash, the ink is getting faded and the transfer is rolling up on the edges. Is there some way to avoid this? I know that I can refresh the transfer with parchment paper and an iron, but my pictures look old now! Can anyone help me? Question: How Do I Preserve Inkjet Iron-on Transfers? Is there something I can use to stop iron-ons from peeling and flaking when washed? Last Christmas I made my kiddies some really cool pillow cases and the adults place mats with iron on designs I had made with my Inkjet printer and dang, every one of them flaked and peeled and are ruined. I tried Googling, but no help. Thanks. I've never done this myself but here are some ideas. Write to the manufacturer of the iron-on sheets and ask them about it. You might try washing and drying items before doing the iron-on. DO NOT use any fabric softener. I do this before making any fabric iron-on projects. They seem to stick better because you have washed out all the sizing and other chemicals that the manufacturers put in those things. DeBushe, thanks for your reply. I know about not using fabric softener, so that's not the problem. I'll look into the manufacture. Thanks again. After I tried ironing on the transfer with the highest heat, I noticed it was not sticking. So I used steam. Now I read NOT to use steam. Can I still use this transfer? It is not totally sticking to my shirt. Iron the transfer once more to make it adhere as much as possible to the shirt. Let cool. Stitch around the border by hand with small running stitches, treating it like an applique. The sewn on transfer will stay on the shirt. Hope this helps. My daughter used an iron on transfer and did it on the carpet. The t-shirt has now stuck onto her floor. After pulling it up there is a patch that ripped off, and is still stuck on the floor. How do I get the T-shirt patch off the carpet? I just came across a few transfers that I got a few years ago when the Patriots were in the Superbowl. Now that they are headed again I would like to use these, but when I tried to iron one on it didn't take at all. Do these only last so long? They have been in a thick envelope for a few years and look perfect. What am I doing wrong? Everything in life has an end date. The medium on your transfers was not made to last like Egyptian mummies. It may last awhile but not more than a year or two, I would guess. The transfer ink on iron-on transfer does indeed evaporate after a few years in storage - even the best storage. For under a fiver you can restore those transfers by using a fresh new transfer pen, carefully tracing the transfer, then immediately ironing onto the fabric. My iron-ons are falling off; what am I doing wrong? How can I make them permanent? I put a few partial transfers on a child's apron, and I want to remove some of it that did not transfer well, like the letters, how do I do that? Please? How do I repair cracks and peels in a fabric transfer? How can I repair a image when it has set awhile? When I peeled my iron on it looked great. After it cooled I could see that it did not take all the way. Can I apply more heat with something other than the peeled paper since it is in the trash? If you haven't washed the item yet, you should be able to use a pressing cloth, (a bit of terry cloth towelling or a pillow case will work as well). How do you remove paper backing stuck on parts of an iron on transfer? The directions did not have this information. I have never done this but I have found this info. I use an Inkjet printer to make iron-ons for t-shirts. Does anyone know of a different (cheaper) paper (other than the expensive almost $1 per sheet Avery transfer paper) that I can use that will give me the same effect? How do you remove an iron on transfer from climacool type material?